Never forget to attach a document file to an email again. Attach the file from within the program you used to create it. 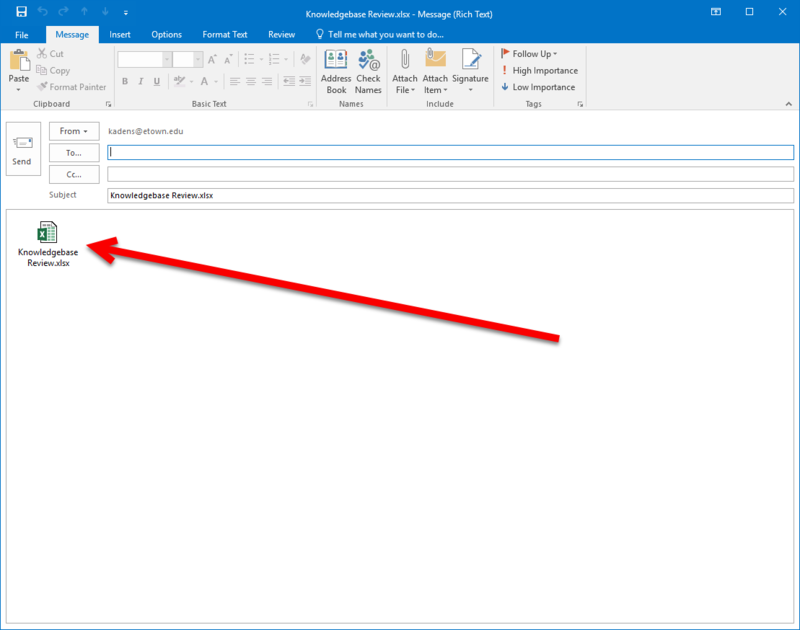 This article shows Outlook 2016, but the also process works in Outlook 2013. Open the file you want to send in Office (Word, PowerPoint, or Excel). Step 2:Click File, then Share. Step 3:Select Email, then Send as Attachment. Step 4:A new e-mail message will appear with the file already attached.